Venice is one of Italy's most popular destinations—and it's not hard to see why. There's the romantic St. Mark's Plaza, the gondolas floating on the canals, and of course, the incredible food. However, with fame comes crowds, so if you want to have the city to yourself, it's best to visit in the off-season. November is a nice time to visit as the tourists leave after the summertime high and hotels drop their rates. Just be prepared to pack a few extra layers for the brisk weather and chilly evenings. In November, you'll escape the heat (and tourists) as temperatures drop, which makes walking in this carless city all the more pleasant. The weather averages between 40 F and 53 F, although it tends to get colder and can even touch freezing at night. Although there will still be some sunny days in November, it is one of Italy's rainiest months and there is a slight chance of snow as it gets closer to December. In November, Venice often experiences acqua alta or flooding from high tides. (It is called the Floating City, after all.) This centuries-old phenomenon is caused by the moon's gravitational pull coinciding with a strong scirocco, or warm wind that pushes water from the Adriatic Sea into the Venetian Lagoon. But don't let the "flood" fool you; it is more like a few larger puddles in the Piazza San Marco (the lowest point in the city) or some splashing onto the sidewalk near the canals. And since acqua alta is a tidal occurrence, it only lasts for three to four hours during high tide. In general, bring your typical winter wardrobe, including long pants, sweaters, jackets, and light gloves. Because of the extra precipitation, you may want to pack an umbrella, raincoat, waterproof windbreaker, and rubber boots for avoiding the puddles and possible acqua alta flooding on the cobblestoned streets. It also wouldn't hurt to throw in a few plastic bags in case you need to put wet clothes or boots in your suitcase. November is the start of the holiday season, so there are many religious celebrations and events. There are also arts and cultural festivities, including concerts, theater shows, and exhibits. All Saints' Day: On this public holiday (November 1), Italians remember their deceased loved ones by visiting graves and cemeteries. Note that many stores and services will be closed. Festa della Salute: The Festa della Salute (November 21) commemorates the end of the 1630 plague that decimated one-third of Venice's population (see also the Festa del Redentore in Venice in July). Locals celebrate by making a pilgrimage across a bridge of boats on the Grand Canal to light a candle and pray to the Holy Virgin at the church of the Santa Maria della Salute. Markets around Venice also set up stalls selling fresh produce, sweets, and the specialty dish: castradina, a mutton meat stew with onions, wine, and cabbage. La Biennale: This months-long contemporary arts extravaganza happens every other year and runs from June through November. It features art, dance, film, architecture, music, and theater. Opera Season at La Fenice Theater: You'll never forget seeing an opera at Venice's famous opera house, Teatro La Fenice. Besides classic Italian operas, there's also piano competitions and contemporary music. 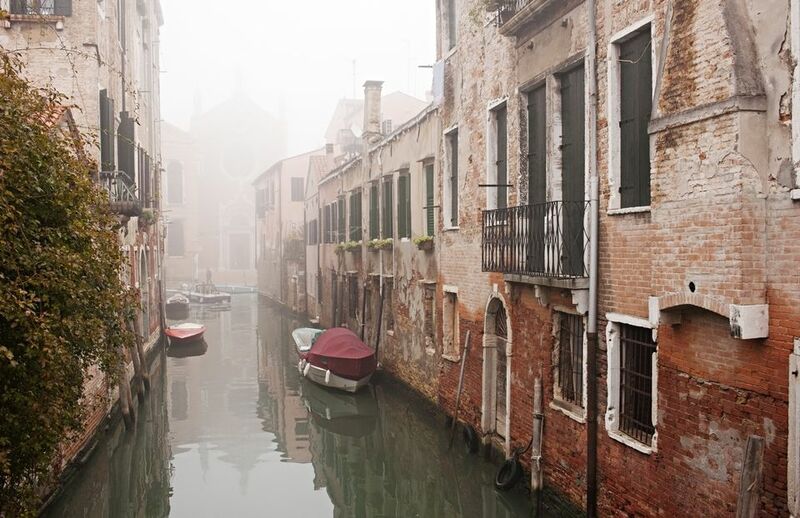 Click here to learn the best time of year to visit Venice.